The Banana Republic is hopes Mad Men will make you buy clothes. The Banana Republic is so desperate to sell you clothes it is turning to a fictional advertising agency for its latest promo. The subsidiary of the San Francisco-based Gap had a slow month in July. Sales were down 7 percent, according to the San Francisco Business Times. 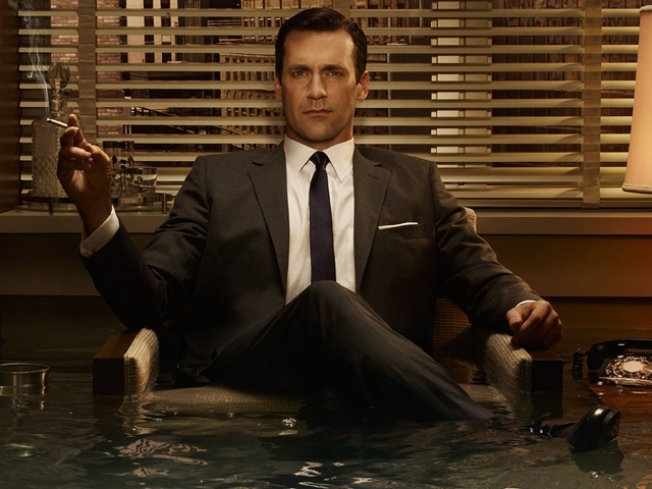 To turn things around the clothier is tied the high end fashion line to television show Mad Men, which is about a fictional advertising agency called Sterling Cooper. The promo encouraged shoppers to go to Banana Republic stores and pick up a "Mad About Style" guide for a chance to win a walk-on role on the show. The guide instructed shoppers to take a picture of themselves in their "best 'mad' man or woman style" and submit it on line with a special promo code. "It's Banana Republic brand hopes that by hitching its lumbering cart to a thoroughbred — MAC’s hot Mad Men television series — it, too, will go places," the Business Times said. Banana Republic's hope was shoppers would look in the guide and see their favorite Mad Men character dressed in 1960s garb conveniently lined up next to a page with the full wardrobe break down and where to find it on Banana Republic shelves. The response was so strong it knocked Banana Republic's servers down on Tuesday, the final day to submit photographs to the contest.